There are only one snooker football courts in stock, please contact us immediately if you want to buy! footballs of 22cm Dia, one 1200w Air Pump! Giant Inflatable Snooker Football Games fun for everyone – young and old. Place orders can be shipped immediately! 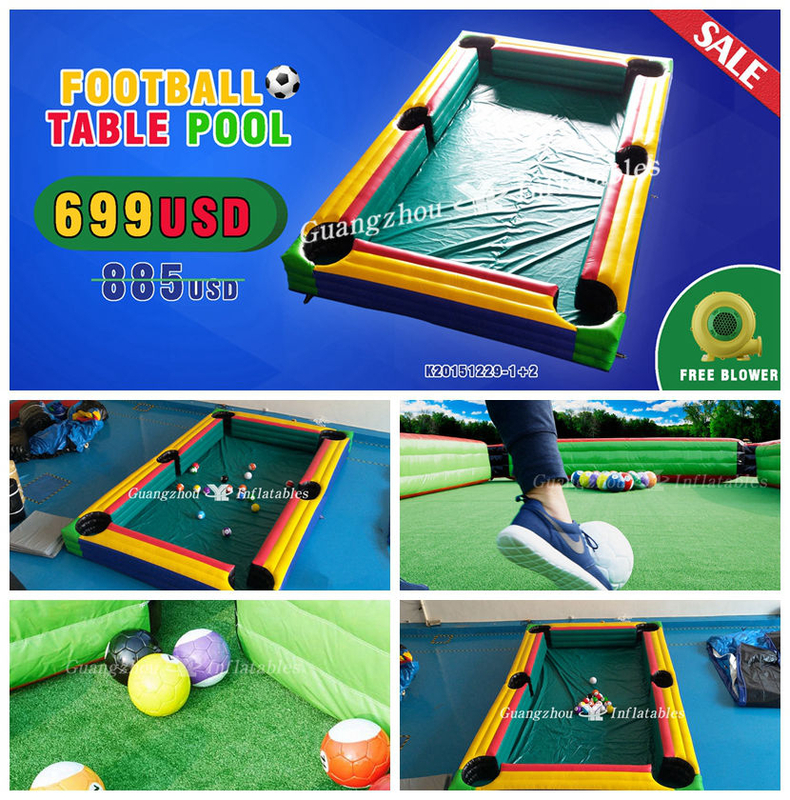 Of course, we also have an inflatable style snooker football field in the promotion, only need $699 to buy, but does not include shipping!